Background: The New Zealand wine industry owes Kevin Judd more than it has so far acknowledged. While he did not �invent� Marlborough sauvignon � that honour goes to 1980 Montana Sauvignon Blanc � nonetheless he perfected it. He first learnt the basics of beverage-style New Zealand sauvignon at Selaks from 1983 on. His big break came in 1985 when he was selected by David Hohnen of Cape Mentelle vineyard, West Australia, to head up Hohnen�s new vineyard in Marlborough. The name would be Cloudy Bay. There Kevin quickly defined and consistently produced a superior style for (in truth) beverage-quality Marlborough sauvignon blanc. Cloudy Bay Sauvignon Blanc soon became New Zealand's most famous wine, both a leader and a standard setter. It went on to become almost the international standard for beverage sauvignon blanc. Kevin was at Cloudy Bay for 25 vintages. While there he �played� with sauvignon blanc in every imaginable way, never resting on his achievements. He was soon aided and abetted by his old friend James Healy, who he recruited from Corbans winery, Henderson. They experimented with both barrel fermentations, noting what Peter Cowley (at Te Mata) and John Hancock (then at Morton Estate) had already achieved with Hawkes Bay sauvignon, and even (following a lead from Michael Brajkovich) the MLF fermentation in sauvignon, something conventionally frowned on. In this way Cloudy Bay's alternative sauvignon, a full-bodied barrel-fermented and MLF-fermented sauvignon called Te Koko was developed. It was too different to take the world by storm, but keen tasters noted that it went superbly with food. All this experience was of immeasurable value when Kevin finally decided to set up his own winery, Greywacke (named for the commonest rock-type in the main ranges of New Zealand), in 2009. Here he has put into practice his second style-defining vision, to create a �serious� sauvignon blanc that was not merely beverage quality, a wine that would not be dismissed after 18 months, but would cellar and improve in cellar. Such a wine would break down the weird conventional wisdom of so many shallow-thinking New Zealand wine people, that sauvignon doesn't keep. Anybody who has paid any attention at all to the famous dry white wines of Bordeaux and Graves knows full well that sauvignon blanc can cellar wonderfully, but as so often, the conventional wisdom in New Zealand wine circles has little regard for facts. Kevin named this visionary wine Greywacke Wild Sauvignon, to reflect the fact that it was not made in tanker loads in stainless steel tanks with factory-cultured yeast. Instead it was made from intensively managed fruit cropped at a carefully controlled rate, and picked at a critical point in ripeness. It was then raised in carefully selected barrels with all-wild yeast ferments and some MLF fermentation, like top-quality chardonnay. The Tasting: I set out with a keen sense of anticipation and even impending revelation, to share in this tasting of all vintages so far released of Greywacke Wild Sauvignon. It was presented at Regional Wines, Wellington, and led by Richard Ellis, Kevin�s co-winemaker. The wines were simply sensational. It is a sad commentary on the conservatism and lack of spirit of inquiry in the average New Zealand wine drinker, that this tasting was not fully subscribed. At this point it is also fair to note that Kevin had one notable pioneer to reflect on, and learn from, in the field of serious barrel-fermented New Zealand sauvignons: Te Mata Estate Cape Crest Sauvignon Blanc, initiated in Hawkes Bay by Peter Cowley in 1984, and developed consistently ever since. Tony Bish also in Hawkes Bay later sought to match Cape Crest with his Sauvage, but lost heart (or chardonnay triumphed, maybe). Conclusions: As any tasting of older vintages of Cape Crest Sauvignon Blanc has demonstrated for years, seriously made New Zealand sauvignon blanc cellars perfectly well. 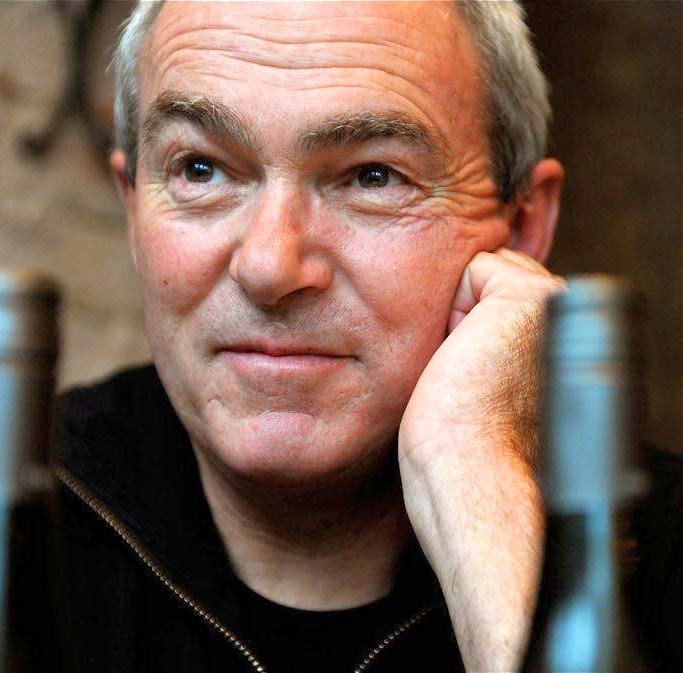 But the magic of Marlborough, coupled with Kevin Judd�s deft hand, means that in certain years, when the picking point is just right, these Greywacke Wild Sauvignon wines achieve a level of bouquet complexity and palate harmony and excellence which is unmatched in New Zealand. Even the oldest at eight years is only now mature to a degree. As a set they look to be wines to cellar for up to 15 years, a little more if you like really mature wines. I urge you to cellar some, and try them from time to time with appropriate paler foods, especially those complexed with fines herbes, sweet basil, and the like, plus naturally enough seafoods. They will provide a glorious match. Photo credit: Tim Atkin, MW, with thanks.